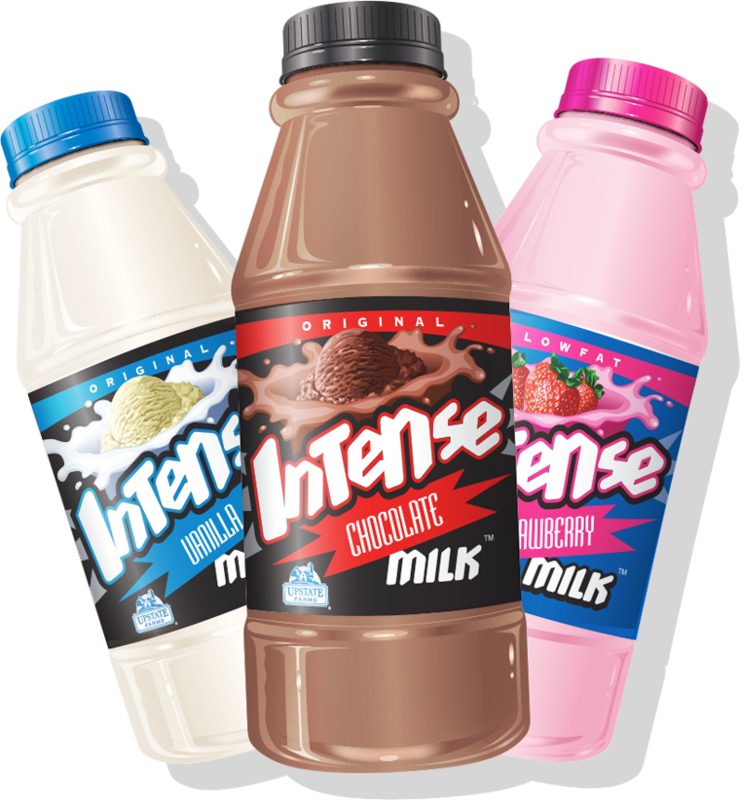 For flat-out, over-the-top chocolate taste that explodes out of the bottle, you gotta get Intense! Upstate Farms Chocolate Milk is loaded with imported cocoas, real sugar and fresh milk to create a chocolate milk like you've never experienced before. One taste and you’ll know why we call it Intense. For a creamy and chocolate taste that’s bold AND delicious, you gotta get Intense. 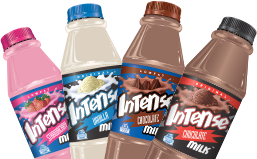 Our great tasting Lowfat Intense Chocolate Milk is the beverage for you...its rich, smooth chocolatey flavor will have you tilting the bottle for that last drop. Besides, studies have shown chocolate milk to be an effective recovery drink that replenishes your muscles and refuels your body as well as any other sports beverage. For a rich vanilla adventure, you gotta get Intense! Upstate Farms Intense Vanilla Milk is loaded with the finest vanilla flavor, real sugar and fresh milk to create a taste that rivals the greatest milkshake you’ve ever had. One sip and you’ll know why we call it Intense. For a creamy, sweet strawberry taste that’s bold AND delicious, you gotta get Intense. Our great tasting Lowfat Intense Strawberry Milk is bursting out of the bottle with fresh milk and rich, natural strawberry essence that will have you tilting the bottle for that last drop. This is the drink of choice for the strawberry fan who wishes every season was strawberry season. 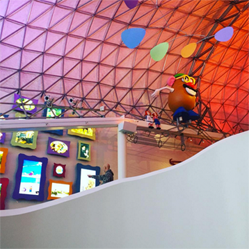 This cool gadget will help you find the stores worth shopping at. Why? They have Intense Milk. Enter your zip code to find the locations closest to you.